This is a mod that removes the need to ship a servers.dat file that overwrites player-added servers. Stop shipping that file and add Featured Servers! 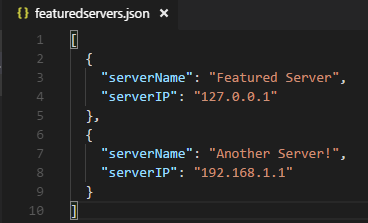 You can add multiple servers with a simple json format. Adding a server is as simple as adding another json block with the details. 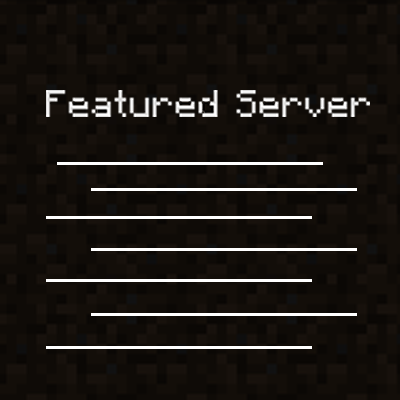 The server is added to the server list on load, if it is already there it will be ignored. NVM I'm a moron. It Works Great thank you! Ridiculous question (but necessary for a modpack maker): Is this mod somewhat needed in both sides (client and dedicated server)? The mod loads client-side only and only adds the server to the server list. It should never be on a server. I'm pushing a new build shortly to make sure the client doesn't have issues if the mod isn't on the server, even though it only runs code during the init phase. Did the new version get scrapped or forgot about? Not sure what new version you're on about? You said you was going to push another update what was client side only mod, cool mod btw but I looks like the last push was the same day you said that.